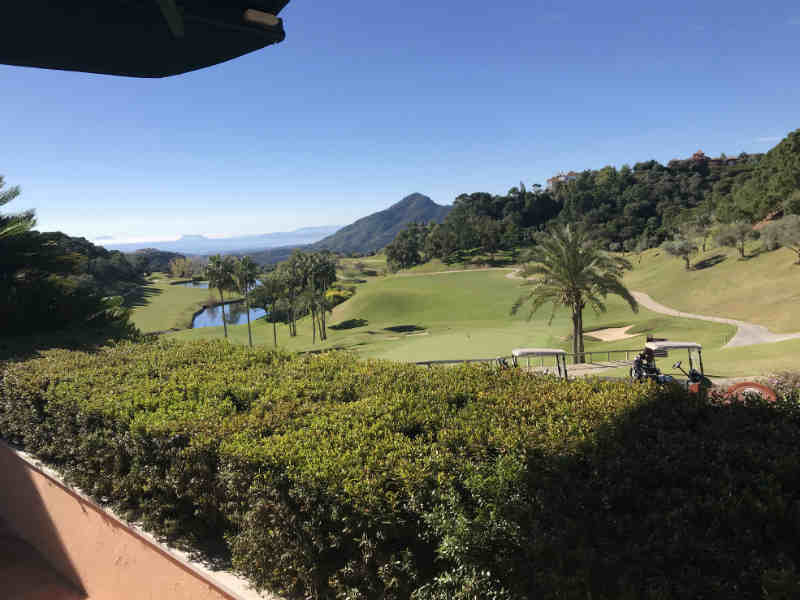 News and views from the Costa del Sol! Every week we will write about living on the Costa del Sol. You'll find new stories, local and national events, comments, recipes and advice. Topics will range from schooling your kids in Spain to tips on how to travel to the Costa del Sol, from insights on properties for sale to helpful advice on legal issues. But we also want to share events and culture, to show how wonderful life can be in the area around Estepona, Marbella and Malaga. Scroll down or click through the list (right) to see previous posts full of interesting information and links about this great place. An hour and a half from the hustle and bustle of city life in the provincial capital of Malaga, Ronda is an architectural gem hidden in the mountains inland. 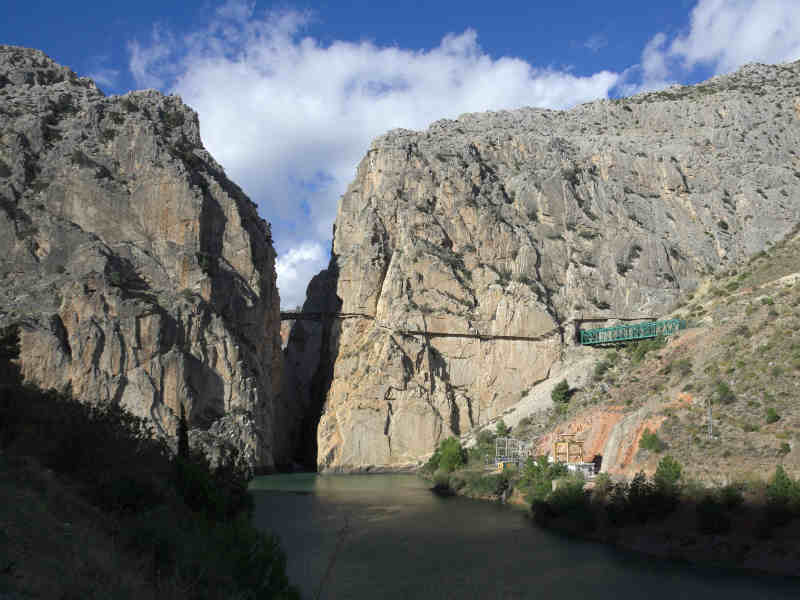 Set between two national parks - Parque Natural Sierra de las Nieves and Parque Natural Sierra de Grazalema - it is rich in history and natural beauty. Here you will find a list of must-see attractions. 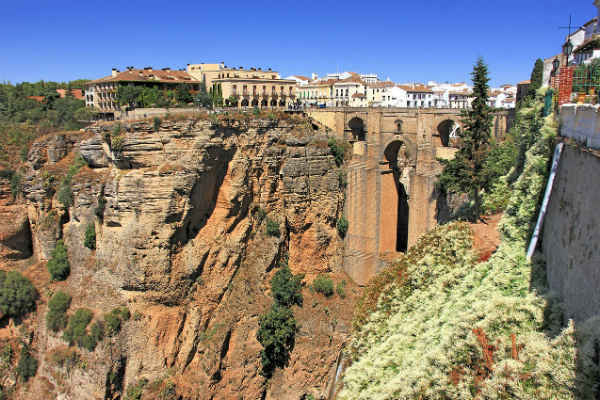 The number one monument that cannot be missed if you are making the trip to Ronda is Puente Nuevo, from which you will enjoy amazing views of the Tajo Gorge below. If you go in spring be sure to wander down into the gorge which will be filled with flowers. 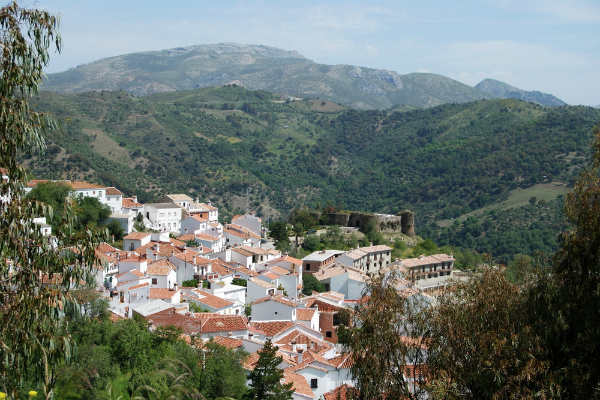 Those who are familiar with the province of Andalucia will most certainly have heard of its iconic white villages. These are villages that sit high in the mountains and stick out from their natural environment with their white-washed square-shaped houses. They are characterised by a sleepy atmosphere, breathtaking views and interesting cultural influences, incorporating Iberian, Moorish and Roman elements. Ajoblanco - the "white gazpacho"
If you've had your fill of 'regular' gazpacho - cold tomato soup - it's time to try this refreshing alternative made from garlic and almonds. This Andalusian specialty is a summer favourite and can be had alone or a slightly thinned version to go with a baked potato. Find this simple, no-cook recipe by clicking below - alternatively, we've included a video recipe. The best estate agents in Spain are like gold dust, while the unsavoury ones – which thankfully these days are few and far between – could turn your dream into a nightmare. The bad eggs are usually easy to spot. Prone to a bit of bling and heavy on the hair gel, they’ll steer you towards properties they want to sell rather than ones you might like to buy. 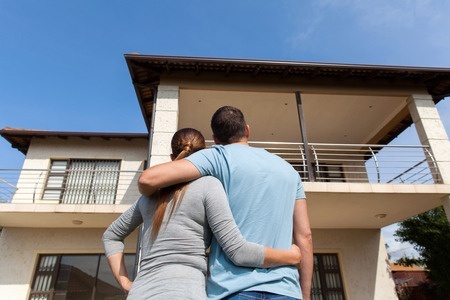 A reliable agent should be there for you throughout the buying process, from the moment you start browsing properties right up to the day you get the keys to your new home and even beyond. Spain recently announced a royal decree to limit the impact of a no-deal Brexit on British expats that own property in Spain. They will guarantee healthcare provision and access to the social security system, which gives rights to pensions, until December 31st 2020. This will be a big relief to the 300,000 Britons, many of which are pensioners, living on the Costas who rely on access to local hospitals and doctors. Climbing enthusiasts will be most acquainted with El Chorro, a village in the province of Malaga, around an hour or so north of the eponymous capital city. With world-renowned climbing walls as well as one of the most famous (and up until recently, dangerous) hikes in the world, it is well worth a visit if you are in the area. 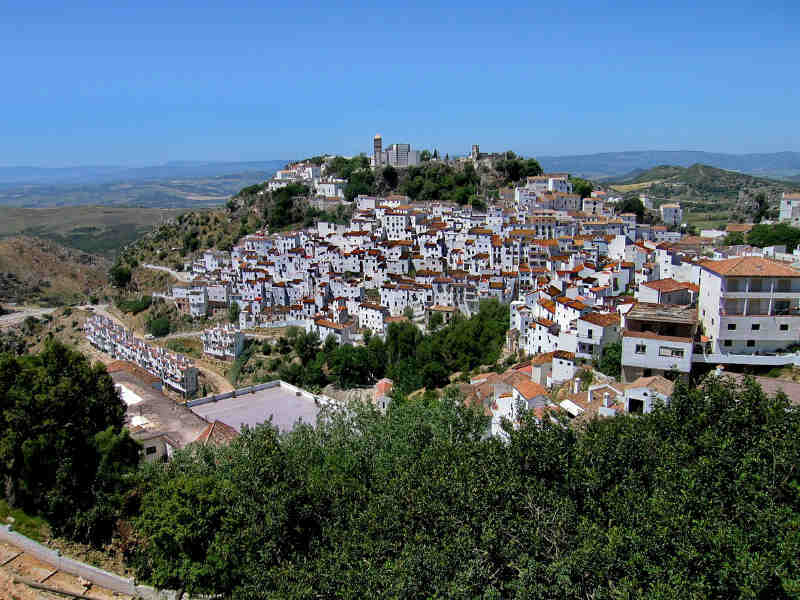 You will approach El Chorro from Ardales or Alora, both routes are scenic although the Alora route slightly more so, so if you are not stuck for time I would recommend going down these windy roads and seeing the little villages along the way. 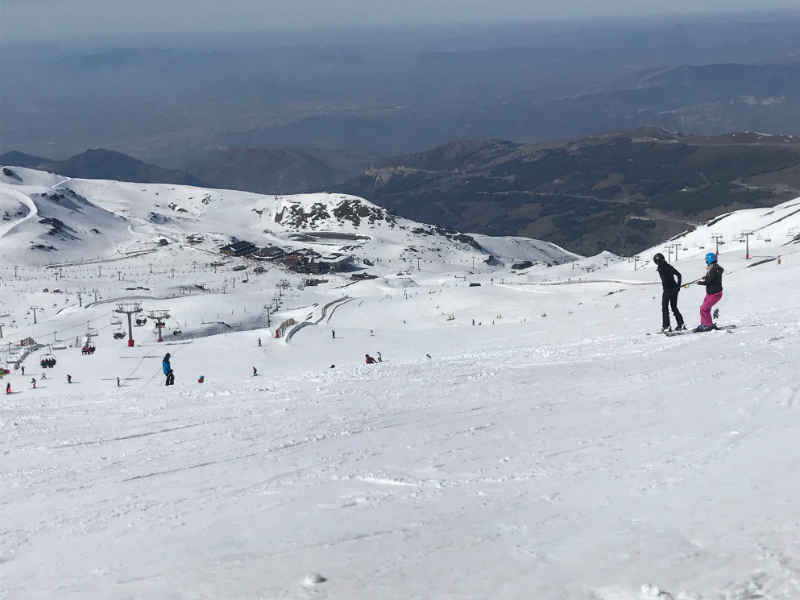 Agent Shirin Sharifi has been taking a well earned holiday to Sierra Nevada. To be fair, she only has to go a mere 2 hours from home to hit the slopes and have a break from the coast (can you imagine saying that? Ever?). To integrate or not? Balancing local and expat culture. Congratulations! You’re moving to Spain. You must be very excited! And so you ought to be. You’re about to discover a whole new culture, language, way of doing things and general attitude towards life. As someone who has moved to a new country four times in 10 years, I have found it useful to not to concentrate on stereotypes and approach the new country of residence with as open a mind as you can muster. Whether you are looking to buy a large villa with a swimming pool, or a stylish apartment overlooking the beach, once you have found your dream property in Spain, you will need to think about the process for the actual purchase. Luckily The Spanish Estate Agent is by your side every step of the way. 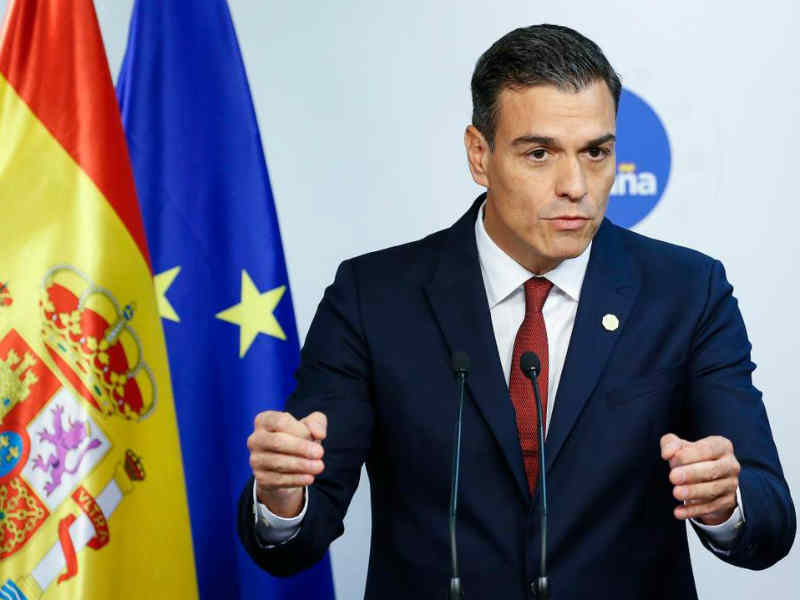 The Spanish PM, Pedro Sánchez, has recently reassured Britons living in Spain that their rights will remain unchanged even if Britain leaves the EU with no deal. Mr Sanchez aims to have an outline of the rights of citizens in the respective countries by February; the plan is conditional on the same rights for Spaniards in the UK. Great news for the most popular retirement destination in Europe for Brits. Some 300,000 of us have settled there, mostly along Spain's stunning coastline, and, of course, sun-seeking retirees are hard pressed to find a more agreeable alternative! The Spanish Estate Agent's Shirin Shirifi is lucky enough to play golf on the exclusive La Zagaleta course. It's still t-shirt weather on the course where she snapped these over the weekend. Golf is one of the big draws of the Costa del Sol with quality courses near or on most developments. Tee up your search for a home in the Spanish sun with golf on the doorstep here. The very first step on your journey to buying property in Spain is putting pen to paper! Start to think about exactly where you want to go and what you're looking for... and if you don't know, start researching! An initial trip to scope some general areas and some towns in particular is always worthwhile. Don’t aim to view on this trip, but to get a feel for how busy certain places are, how easy they are to reach from the airport and what the local facilities are like. 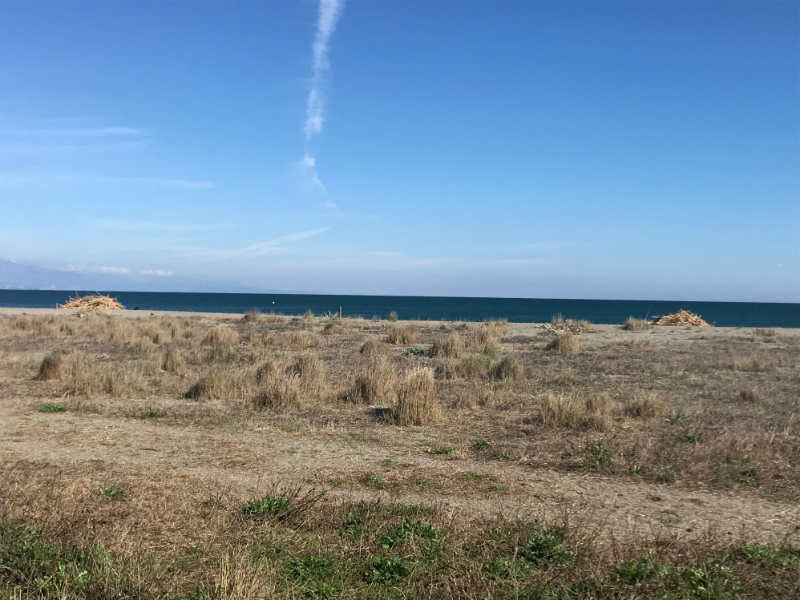 Once finished, the coastal path along Spain’s eastern Costa’s (the Senda Litoral de Malaga) will join up with other coastal paths to extend from just north of Gibraltar in the south, to Barcelona on the Costa Brava. 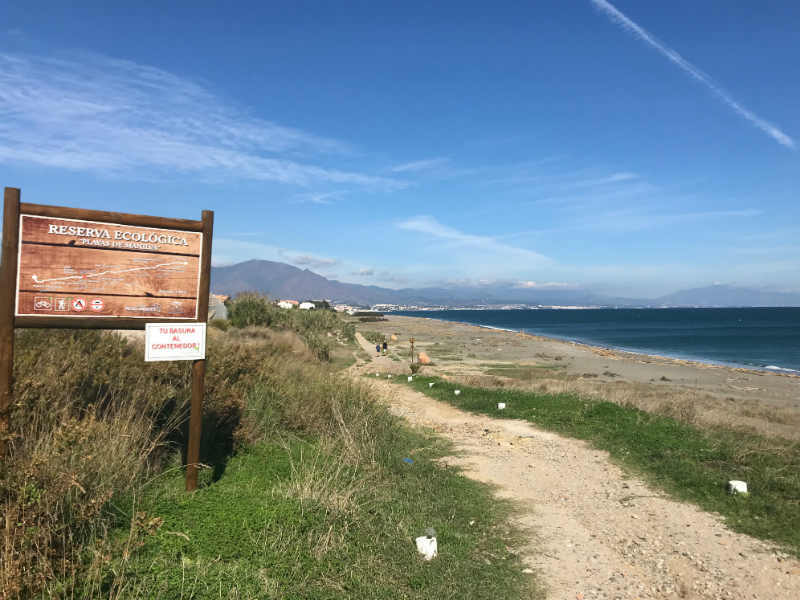 Many parts are already finished and there are lengthy stretches along the Costal del Sol where you can enjoy an easy, almost flat walk right beside (and for short stretches, on) the beach. The path is a mix of gravelled tracks, short paved walks through front-line developments and along existing seafront promenades and newly constructed boardwalks. Sunbeds in November...it must be Spain! 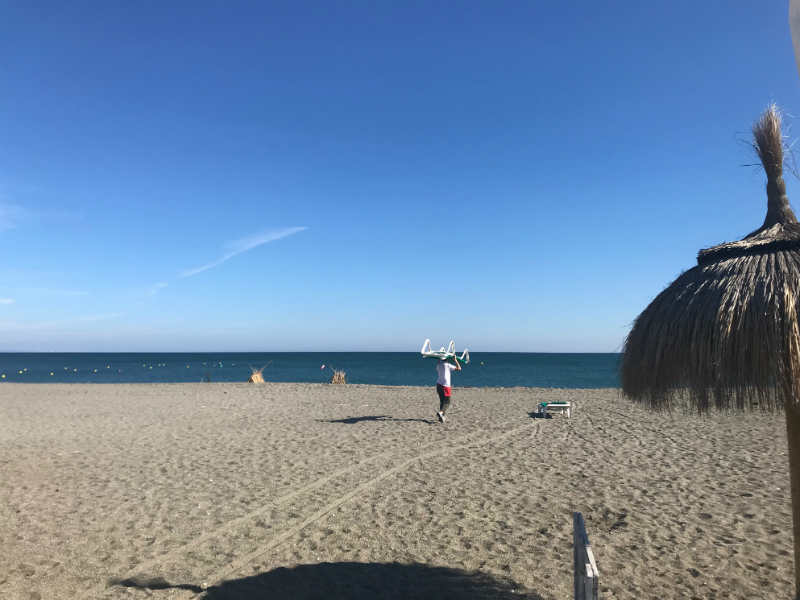 November 2019, and the staff at the Ducquesa Chirungito (beach bar) between Sotogrande and Estepona set out sun beds in a pleasantly warm 20 degrees. Send us your photos of similar events on a UK beach near you, and we’ll publish the best ones. Jump on a plane and come and buy a place here on the sunny Costa Del Sol. The bonfire-shaped piles of driftwood on the beach near Manilva, Costa Del Sol, reminded us of ‘home’...briefly. This is mostly bamboo washed ashore in a recent storm. It’s hard to imagine that it was so wet here so recently. It’s done a lot of good in greening up the ‘campo’, or countryside. And now we are back to big blue skies and warm air. Learning the language - we can all do it! Still time to catch the cycle race! 8 days and nights of Málaga Fair! It's festival time today in Estepona! Star Wars on the Costa del Sol! Sold by The Spanish Estate Agent! Another sale by The Spanish Estate Agent! 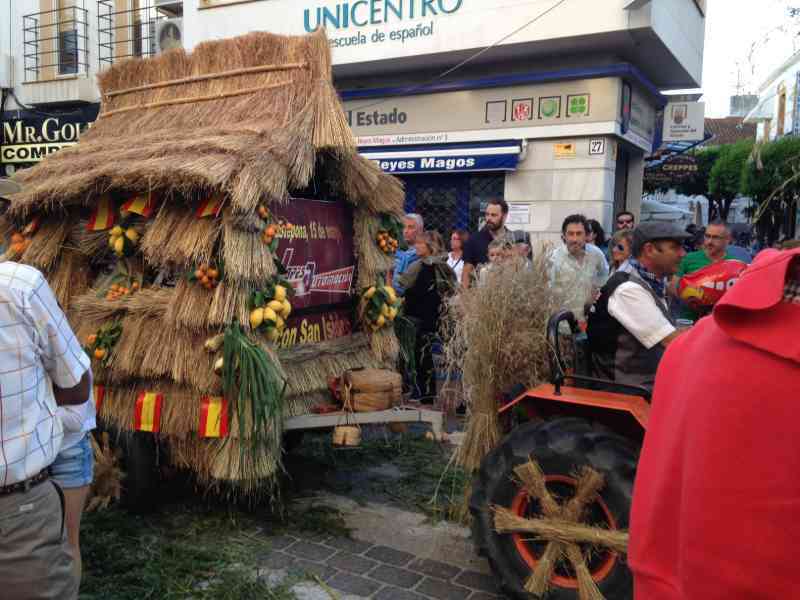 It's Carnival Time in Cádiz! No rental property left on Costa del Sol - become a landlord! Where in the Costa del Sol suits you? Spanish consumer prices among lowest! Stretch your legs on the coastal path! Good news for buyers in the Costa del Sol! Properties in Marbella or properties in Estepona? Good News For Spanish Property Buyers: Spain received more UK visitors in January than the previous year! How Can I Take My Pet With Me to My New Apartment on the Costa del Sol? 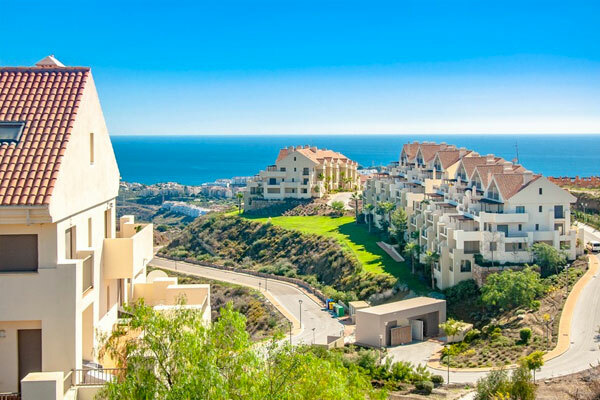 The Benefits of Buying Property on the Costa del Sol: Beauty - it's good for you! Have You Stopped to Think About Healthcare? Spanish timetable: Even the Spaniards think it's a waste of time! The first ship that sailed around the world is back! Spain - a great place for expats! Costa del Sol breaks records! The brand new beach-side walkway continues to roll out! 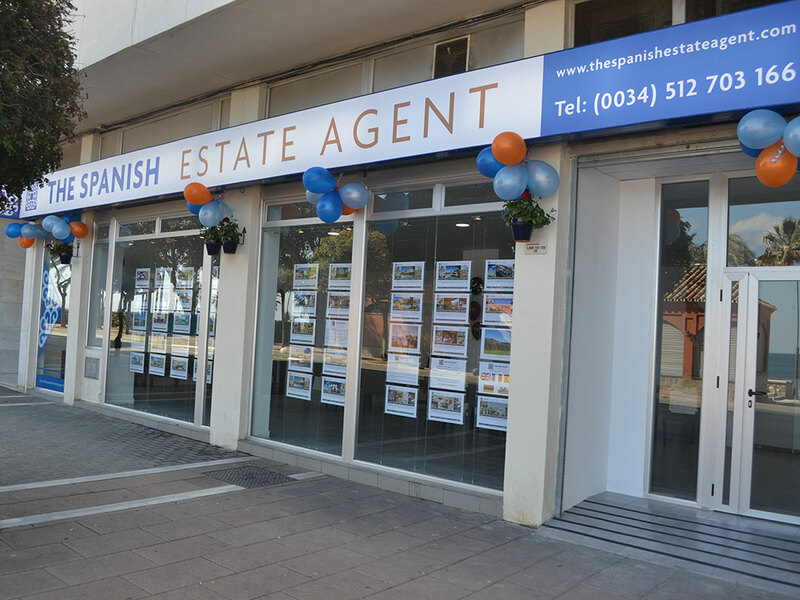 Why do us expats buy properties on the Costa del Sol? Winter activities on the coast! Hone your language skills quickly and easily! Testimonial: Tony's unparalleled singing voice! Another successful sale at TSEA! Another one sold! By The Spanish Estate Agent! Prices from just under €800 per square metre! Sterling on the way back! Property for sale in Estepona – what's moving now! Sold! By The Spanish Estate Agent! Brexit: Spain amongst top destinations for Brits buying abroad! La Zagaleta – the most prestigious address in Europe? THE SPANISH ESTATE AGENT – It’s your move!